Dr. Zebrovski Live Perform – Best of SF 2014! Tonight! 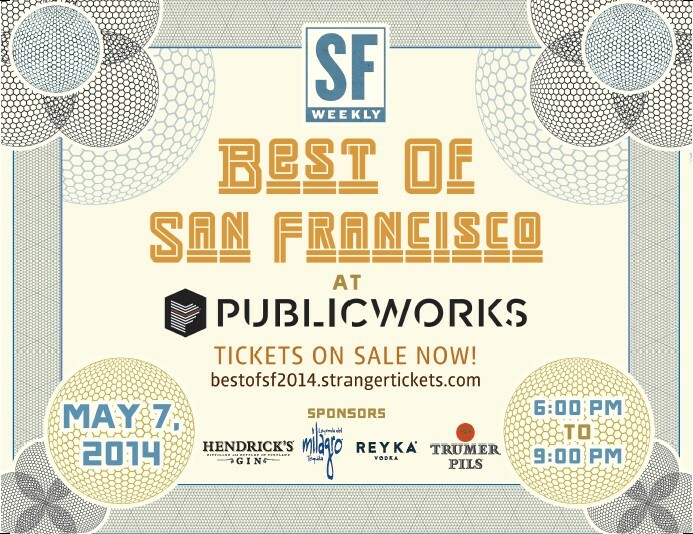 Join Dr. Zebrovski in celebrate best of all things San Francisco at SF Weekly Best of San Francisco event at Public Works! Coming to event for great entertainment and then being able answer question you are wonder for long time with FREE psychic tarot dance reading! Party is 5/7/14 at Public Works, 6 – 9 PM. Getting tickets now! And remember TIPS IS ALWAYS APPRECIATE!